Giving your cat a bath can often be a chore, especially when your cat hates water. 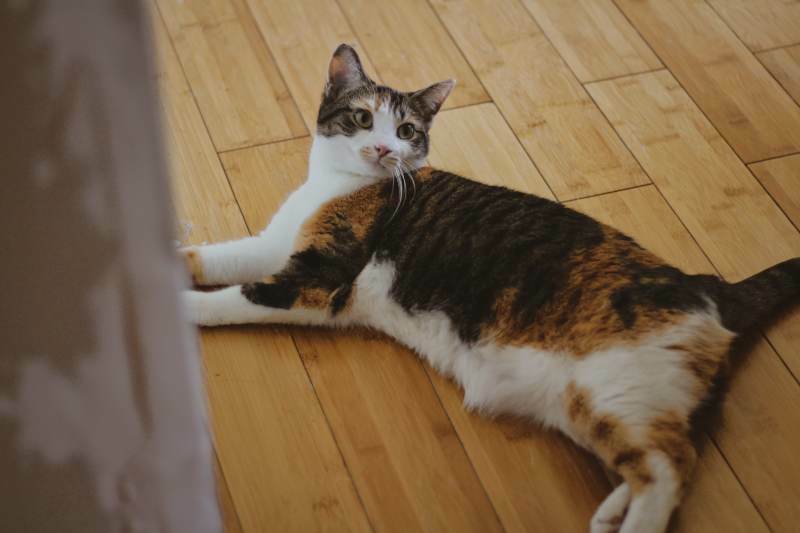 While most pet parents can get away with never washing their cats because their cats clean themselves thoroughly, some of our feline companions prove to be messier than others. Not to mention, if your cat ever has to undergo surgery, you will definitely have to give them some extra attention since they may not be able to clean themselves. That all being said, there are different types of shampoos and soaps you may want to try on your cats, dependant on what it is you’re trying to keep them clean from. Be aware that not every “pet shampoo” will be suitable for your cat as some are considered toxic to cats and may make them sick. The following list will include the best/most popular waterless shampoos, regular shampoos, and soaps that are safe for cats. In my experience, waterless cat shampoos have had the highest success rates. Waterless shampoos are easy to introduce to your cat as they can be applied virtually anywhere. These shampoos often foam up and allow you to apply the foam directly onto the cat’s fur and skin. While easy to manipulate and use on your cats, I do find them a bit difficult to get out nastier gunk from your cat’s fur (ie. blood or other sticky substances), however, if you’re just trying to give your cat a quick clean you’ll find that they are great at their job. Directions for using waterless cat shampoo: spray affected area thoroughly and brush your cat repeatedly using a wire brush until all traces of shampoo are gone. Make sure you have brushed your cat until all of their hair is separated as waterless shampoo can cause your cat’s hair to clump. Tropiclean was the first type of cat shampoo we ever tried. To be honest, it’s a pretty good shampoo that gets the job done, but I’m really not a fan of the smell as it is too pungent. 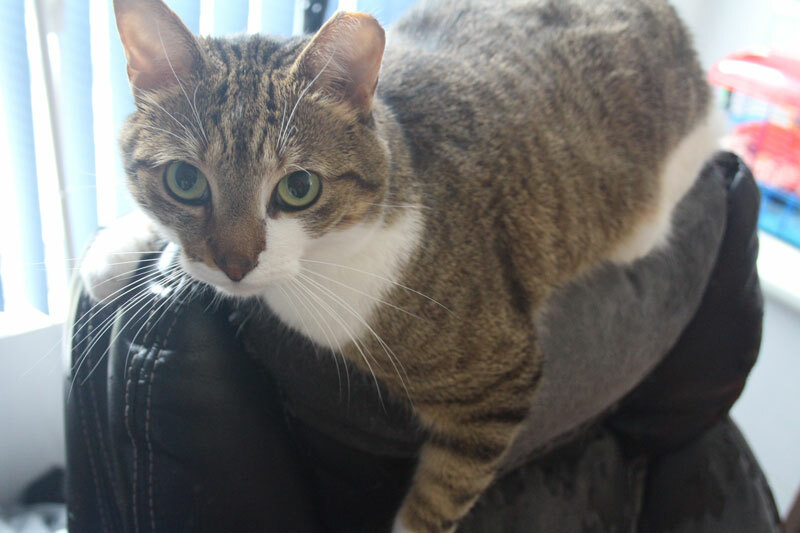 We first used Tropiclean when Beau underwent his Perineal Urethrostomy & Double Cystotomy, so the scent was actually a good option since Beau was so urine soaked from not having the energy/being able to get up to use the litter box. 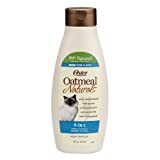 I would recommend not using too much of this shampoo on your cat as a little goes a long way and it dries fairly slowly for a waterless shampoo. 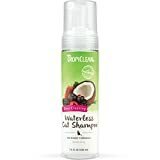 My favourite thing about the Tropiclean brand is that they have a number of solutions including a Dander Reducing Shampoo and a Hypo-Allergenic one for Dogs & Cats. By far Vet’s Best is one of the most popular and well-known brands for all types of shampoos. Not only is Vet’s Best branded and marketed as being a company that was developed and produced by real veterinarians, their products usually contain key ingredients you want to make sure your shampoos have. What are some of these ingredients you ask? Well, things like Oatmeal, which is great for skin and fur, especially for cats who have sensitive skin. 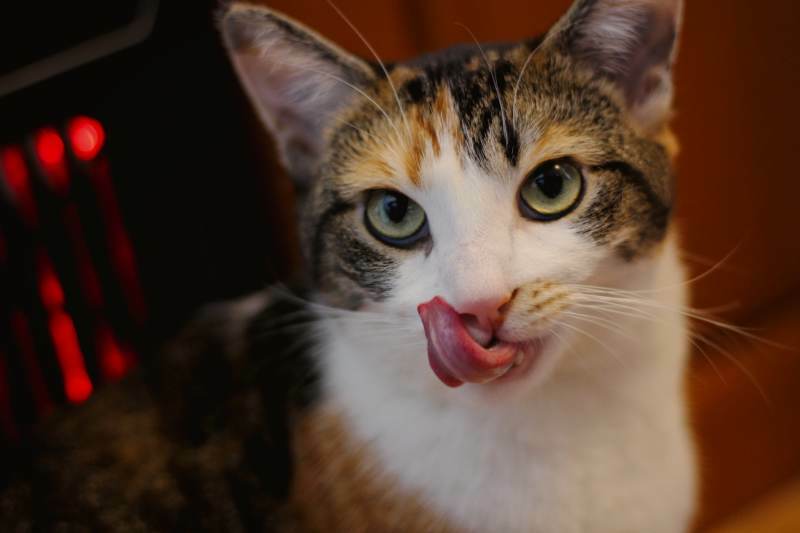 Oatmeal can also help soothe itchy or dry skin, making it great for cats with skin problems. Neem Oil, which is great for providing vitamin E, which helps protect the skin against pollutants and other hazardous antioxidants. 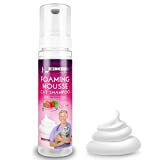 Vet Recommended NEW Waterless Cat Shampoo - No Rinse Dry Foam Mousse - Luxurious Strawberry Patch Scent - 8oz/240ml, Made in USA. Similar to Vet’s Best, the “Vet Recommended” brand is meant to be an easy way for you to be able to differentiate safe, good quality products from useless or unsafe pet products. 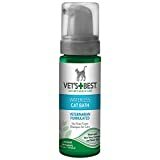 The only issue I’ve found with “Vet Recommended” is that it seems like the products haven’t actually been created or vetted by vets. Now, this isn’t a huge issue since not every product you buy is going to be vetted by a vet, however, I do feel like it is a bit of false advertising. Please feel free to correct me if I’m wrong about this information, I just haven’t been able to find information about it and my vet actually never heard of them before, but we are located in Canada. All of that aside, this product is completely safe for your cat and has been known to do a great job. Similar to all the products above, it is applied as a foam and has been known to help cats with dander as well as allergies. I think the coolest part of this product is that it is made from recycled and eco-friendly materials. If you’re not a fan of foam shampoos, they also have a cat shampoo that’s a spray on. Burt’s Bees is by far one of the biggest companies and household names, but not for their pet products. They are mostly known for their phenomenal lip balms, and if you’re looking for great lip balms I definitely recommend checking them out. That being said, I’m not sure how much I like Burt’s Bee’s waterless shampoos, just because of the way that it is applied. Unlike the shampoos above, this shampoo doesn’t foam and is similar to a “spritz” shower. That being said, I went through the ingredients on the cat product and there is nothing that’s shocking on it or is known to negatively affect a cat’s health. 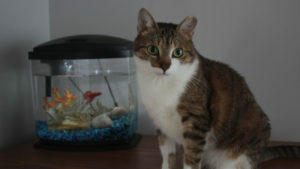 Photo from Is Borax Safe for Cats? 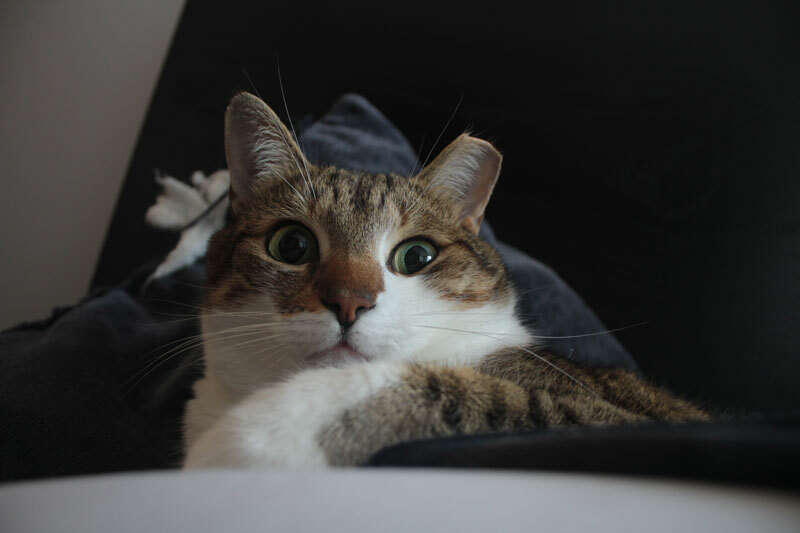 What Do I Do If My Cat Has Been Poisoned? I admit that it can sometimes be difficult to wash your cat, especially if they hate water, but as mentioned, sometimes it’s a necessary evil, especially if they’ve gotten very dirty. Over the past few months, it seems like one of our cats, Kalista, has gotten more used to water since she’s been jumping into the shower with me whenever she’s feeling extra lonely or needy. That being the case, this is proof that some cats can be trained to like water, or at least can be tricked into bearing it if there is a positive stimulus. I personally like shampoos that need you to wash off your cat as I find them more effective than foams. That being said, there are still some shampoos that will be much more effective than others. Let’s start off with the most popular regular cat shampoo there is! Similar to the waterless version of this shampoo, Burt’s Bee’s Hypoallergenic Shampoo is a gentle mix that is good for longterm use with your cat. Not only that, the hypoallergenic shampoo should be soft enough to make sure any cats who are extremely sensitive won’t have any flare-ups or skin problems. It’s nice to see that Burt’s Bees uses Shea butter to help keep skin and fur soft, as most products will use things like Coconut instead. This is honestly one of my favourite shampoos because it’s proven to be pH balanced for your cat’s skin & fur. Made from a coconut base and oatmeal extract (right after each other on the ingredient list), this is a glycerin free natural shampoo that contains no dyes, however, does contain fragrance. Although I’m really not a fan of cat shampoos with added fragrances, I am happy to see that it doesn’t have added lavender or any other harmful substances. I will give the fair warning that your cat may not appreciate this shampoo due to the Vanilla included in this shampoo, and will recommend you stay away from it if your cat is sensitive to any fragrences. All of that aside, I still think that this shampoo is a top contender for shampoos you should try with your cats. I’m personally unfamiliar with Pro Pet, but it is also one of the most commonly recommended brands for shampoos and I can easily see why. Pro Pet’s Oatmeal Pet wash is marketed as an organic, soap-free, cruelty-free shampoo+conditioner that is suitable for all kinds of pets and has major key ingredients like Almond Oil, Aloe and Oatmeal. That being said, these ingredients make for a great soothing shampoo for animals with sensitive skin and other skin problems. Similar to the Vet’s Best Shampoo, I’m not too concerned about the amount of aloe inside of this product since it is an extract. I will, however, say that I am unhappy to see that there is glycerin in this product, which isn’t the greatest for cats. That being said, I’m surprised that this product is marketed as an “Oatmeal Pet Wash” as the main base is actually coconut, but honestly… that’s not the biggest issue, just a bit misleading. Photo from Can You Use Dog Shampoo on Cats & Kittens? and What Happens If You Do? At the end of the day, using fully natural products on both you and your cat is going to be the better option for your health. From personal experience, I used to use a lot of grocery store soaps and shampoos which ended up causing my scalp to get very dry and even caused it to flake or redden. Now, that’s not to say that this happens to absolutely everyone, however, it is important to keep track of your skin sensitivities and what can be causing flare-ups. Unfortunately, for me, it was the chemicals found inside some of the shampoos and conditioners I was using, which caused a series of reactions. These reactions slowly started going away when I switched to more “natural” shampoos and conditioners from companies such as LUSH Cosmetics. Now, the reason why I bring up my own skin problems is due to the fact that many cats have very sensitive skin. A lot of times pet parents don’t realize their cats have rashes or other allergic reactions until their cats begin ripping their hair out due to discomfort. 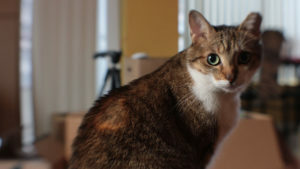 This list is for cats in the “sensitive skin” category who react badly to products with too many ingredients or ingredients that are considered “unnatural” or synthetic. *Please note: “Natural” and “Non-Toxic” are not synonyms and should not be treated as such. There are plenty of “Natural” shampoos that are toxic to your cat, so please make sure you are reading ingredients and fine print to see whether or not the shampoo is suitable for felines. Pure-Castile soap is the best option when using human-grade soaps for cats as it is made from an olive oil base and is chemical and dye free. To be extra careful, make sure you are using “baby” shampoos or soaps to ensure that the soap is not aggressive or toxic to your cat. You’re also going to want to avoid products that contain tea tree oils, peppermint, glycerine, jojoba and lavender as they are toxic towards cats. That being said, a number of Pure-Castile soap products have some of these ingredients infused into them for humans to help mask foul smells. Commonly, baby shampoos will avoid these ingredients, as babies are most sensitive than adults, but you’re going to want to take a close look at the ingredients just to make sure. In general, you’re also going to want to avoid shampoos or soaps that are too fragrant as your cat may feel off-put by the smell. If your cat isn’t a huge fan of water, to begin with, they may start hating water, even more, when they associate it with fragrances. By far Johnson’s Baby Tear Free Shampoo is the most popular baby shampoo used on cats because of how gentle it is on the skin. 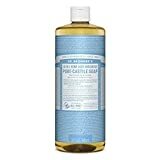 While I still recommend using a Pure-Castille soap over Johnson’s Baby Shampoo, Johnson is a lot easier to find and many households already have it in their supply cupboards. Photo from Why Do Cats Pull out Their Hair? Is My Cat Sick? I personally recommend staying away from all dish soaps and dish detergents as much as possible. My reason being is, the purpose of these products is to remove oils. Have you ever had to wash a lot of dishes and ended up with extremely dry hands? That’s because the soap removed the oils from your skin, drying it out. Now, that’s not to say that dish detergent is going to harm your cat if you use it infrequently, or if you use it to help get rid of fleas, but you definitely don’t want to overuse it. You will, however, want to make sure that you only use the original Dawn Dish Soap as it has no scents and is the gentlest out of all of the dish detergents I’m aware of. 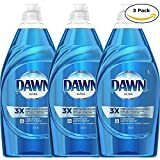 The use of Dawn Dish Soap became very popularized during the big oil spill cleanup in 2013 when Dawn released a commercial promoting their “Wildlife Campaign” to help save ducks, penguins, seals and other wild animals. At the end of the day, I’m still going to recommend getting a cat-specific shampoo over using Dawn just for safety reasons, especially if you have a messy cat who gets dirty often. Similar to baby wipes, these tissue-like wipes are great for deodorizing and getting small messes out of your pet’s fur. 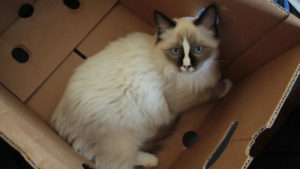 They are by far the easiest way to get your cats clean and truthfully you can’t really “go wrong” with using any as long as they are marked as suitable for cats. Certain baby wipes may be suitable for cats, however, you may run the risk of drying out your cat’s skin if they are too abrasive. My favourite pet wipes are by far Pogi’s Grooming Wipes because of the eco-conscious qualities the company has. These hypoallergenic wipes are bamboo-based, making them decompose or break down quicker. Not to mention, the bamboo that Pogi’s uses are sustainably grown, making them more ethical than a number of other wipes. These wipes can also come fragrance-free or with a Green Tea Scent. The best perks of these wipes is that they are chlorine free and free of all harsh chemicals making them safe for both cats and dogs. Burt’s Bees is at it again with dander reducing wipes that are meant to moisturize your cat’s skin with aloe as well as oatmeal. These wipes are meant to be used regularly and not just for cleaning your cat. That being said, these wipes can also be used as a regular cleaner and are free of sulphates, dyes, harsh chemicals as well as fragrances. They are also highly recommended by vets for cats with dry skin, irritation or itchiness. 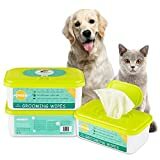 These hypoallergenic wipes are natural, (can be filled with aloe dependant on which you choose) and are advertised as thicker than the regular pet wipe. They are suitable for both cats and dogs and are alcohol and harsh chemical free. My favourite thing about this product is the box that they come in, which helps keep them moist, however, if you are looking for something eco-friendly, this is not the product for you. Last but not least, we have the popular Earthbath cat wipes. Similar to the PUPMATE wipes, these are extra thick wipes that come in a plastic container to keep things fresh. These wipes are also hypo-allergenic and lanolin free. At the end of the day if you have a messy cat you don’t need to fret! There are so many products out there that can help you out without being invasive with your cat. While my personal favourites are still the classic shampoos, as they can help you get rid of even the biggest messes, you can easily grab a pack of cat wipes that will do the trick just as well. The most important thing while selecting the type of cleaner or shampoo for your cat is to make sure that it is not too strong and that it’s meant for what you’re trying to clean. If something is extra sticky you may want to stay away from wipes and use something wetter, but it something is small you’re probably not going to want to put your cat through the stress of a bath. So pet parents, I’m curious… what are some of the products you’ve used to help clean your cats? Did it work? Are you one of the lucky pet parents who has never had to give their cats a bath or ever had to clean them? Let me know in the comments below! Excellent resource! I’ve given my cats maybe 5 baths in 15 years and I always use Dawn or Palmolive. I learned quickly that a little goes a long way when you have a squirming cat you’re trying to rinse! 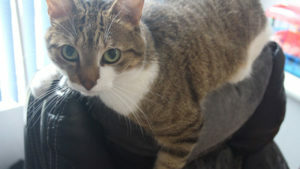 If I was bathing my cats even once a year, I’d buy a pet shampoo – but it doesn’t seem to make sense for one every couple years (and only in emergencies). A little DEFINITELY goes a lot way with Dawn or Palmolive. I definitely get that feeling. We’ve had the same foaming shampoo for about 3 years now and it doesn’t seem like it’s gone bad at all, but that would depend on the brand and ingredients!